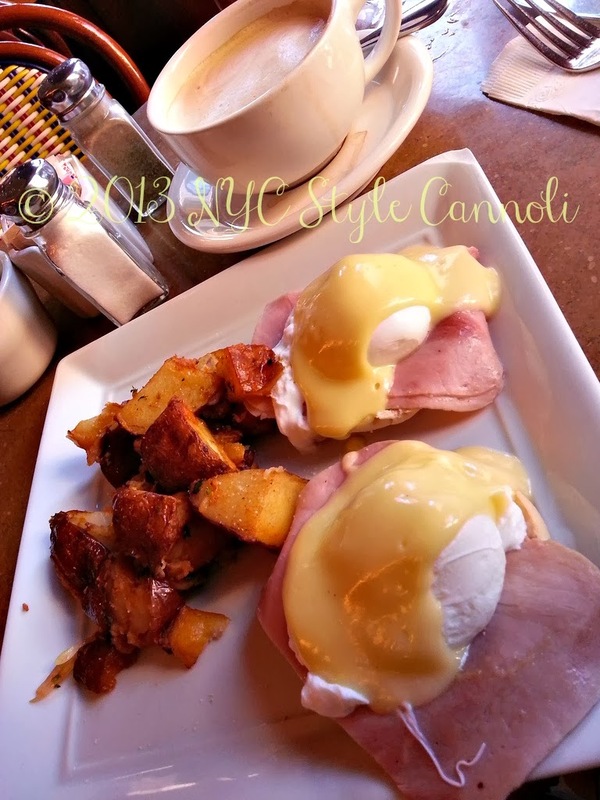 Photo Gallery Thursday "Eggs Benedict at Pigalle"
Did you ever have a food item that you knew really well but never tasted? Well that is how eggs benedict was for me. I always saw photos of it, it looked amazing, but I never tried it. Upon a visit to the city, when I knew I would have no time for lunch, I was at Pigalle for brunch. I saw this on the menu and said I am giving this a try today. It was totally divine! I was a very happy person to say the least! Is there a food item that you know well but have never tasted it? When you did taste it, did you like it ? OMG I LOVE this dish, it's my favorite breakfast meal to order when I'm dining out. I've had so many different versions of it, yummy! Visiting from your SITS Tribe! That really does look delicious and a perfect brunch dish. I'm looking forward to trying a cronut - I just haven't found any yet. Maybe during my next trip to London! Yes Miss b the cronut is all the rage in NYC I won't stand in any line for it however, will wait for the craziness to die down Or get one somewhere else! Glad your heat is coming through Karolyn!! I've never tried eggs benedict!!! Any time I've ever had the opportunity, it's been around breakfast time, and there is no way I could do this for breakfast, but I'll bet it would make a wonderful lunch/brunch. Yeah Lisa a bit heavy for just breakfast but for brunch or lunch it works perfect. Very very yummy! !